About Me – Welcome to Fr. JohnBosco's Blog! My name is Rev. Fr. JohnBosco Chimaobi Ezeonwumelu. From my Secondary School days, my close friends and classmates called me Ioannes, the Latin translation of John. I was born on the 11th day of December, 1981 to the family of Late Nze Michael Ezeonyejemeli Ezeachikulo Ezeonwumelu and Ezinne Bessy Edumchieke Ezeonwumelu of Umumentanozor Family, Umudimisii Umuoru Uga in Aguata Local Government Area of Anambra State. I am the last of their eight surviving children. My academic career at the primary level cuts across three different primary schools from 1987-1993. These include Okwute Primary School Uga (Primary 1-2), Nwagwazi Primary School Uga (Primary 3-5), and Otiogbata Primary School Uga (Primary 6). At the completion of that stage, I got admitted into St. Dominic Savio Seminary Akpu in Orumba South Local Government Area of Anambra State in 1993 where I spent one session before proceeding to Uga Boys’ Secondary School, Uga, to finish up the Secondary School Education in 1999. I survived a very serious accident, falling down from a height of about 40 feet unto a German-floored ground. Seeing such a height and the miraculous escape from death, my people started calling me, “Ọnwụjụrụ” which means “rejected by death.” This event which happened shortly before my Secondary School Certification Examination (SSCE) in 1999 would draw me back for some time as I spent some months at the orthopedic home to fix my fractured hand and leg. But I recovered fast enough to continue my discernment of what the future hold in stock for me. I must note at this point that my life has not always been a very pious one. In fact, my life, from my childhood to my teenage could be likened to that of St. Augustine, seriously tainted by juvenile delinquencies of all sorts. Credits would be given to my parents who laboured without sparing any sort of disciplinary measure in order to redeem me from such life. It paid off, that not only did I change, I even desired the priesthood. Well, I always desired the priesthood even from my childhood days, but now, the desire became stronger and more meaningful. So, in 2001, I was admitted into Issele-Uku Diocese by the then Bishop, Most Rev. Dr. Emmanuel N. Otteh of Blessed Memory. The Bishop posted me to work at St. Andrews Catholic Church Ezi, and there, I spent two eventful and memorable years (2001-2003) with Fr. Joachim Okpalaji, a man of God with a difference. After this, I was sent to study for a Latin Diploma at St. Felix Minor Seminary, Ejeme-Aniogor from 2003-2004. In 2004, I was among the first set that Most Rev. Dr. Michael Odogwu Elue sent to the Spiritual Year Seminary of St. John of the Cross, Ekpoma, upon his assumption as the new Catholic Bishop of Issele-Uku Diocese. After the one year of intensive spiritual formation at St. John of the Cross Spiritual Year Seminary, Ekpoma, I proceeded to the Ss. Peter and Paul Major Seminary, Bodija, Ibadan where I obtained a Bachelor of Arts Degree in Philosophy from the University of Ibadan after four years of study from 2005 to 2009. I then embarked on a one-year Pastoral Assignment at St. Joseph’s Catholic Church, Agbor from 2009 to 2010 under the great Rt. Rev. Msgr. 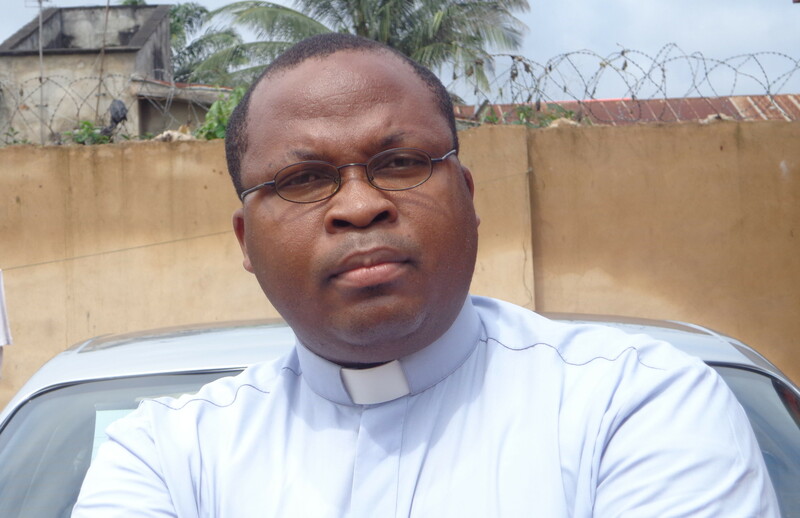 Michael Ifeanyinachukwu Mozia, the Vicar General of Issele-Uku Diocese, who was a professor of Moral Theology at Ss. Peter and Paul Major Seminary, Bodija Ibadan for a period of over 24 years. I had a lot to learn from him. After that, I was sent back to the Seminary of Saints Peter and Paul, Bodija, Ibadan, for the continuation of my seminary formation and theological studies which I completed in 2013 with another Bachelor’s Degree in Theology from the Urban University Rome. In preparation for my ordination to the sacred priesthood, I was solemnly received as a Candidate for the Catholic Celibate Diaconate and Priesthood on January 25, 2011 by His Grace, Most Rev. Dr. Felix Alaba-Job, the then Archbishop of the Metropolitan Archdiocese of Ibadan at the Seminary Chapel of Ss. Peter and Paul Major Seminary, Bodija, Ibadan. In the same venue, I was also installed into the Ministries of Lector and Acolyte on June 29, 2011 and June 21, 2012 respectively by His Grace, Most Rev. Dr. Felix Alaba-Job. I was raised to the Order of the Diaconate on December 15, 2012 by Most Rev. Dr. Michael Odogwu Elue at St Paul’s Cathedral Issele-Uku. And by the special grace of God, on August 24, 2013, I was ordained to the Order of the Ministerial Priesthood by Most Rev. 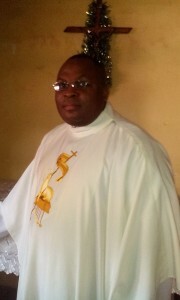 Dr. Michael Odogwu Elue at St Patrick’s Catholic Church, West-End, Asaba. After my ordination in 2013, I was posted to work as a curate under Very Rev. Fr. Peter Onyeka Mobuogwu, the then Diocesan Chancellor, and now, the Regional Vicar of Issele-Uku Episcopal Region, a perfect gentleman and a seasoned administrator at All Saints Catholic Church, Onicha-Ugbo. On December 22, 2014, I was once again miraculously saved from a very serious accident which turned my car into a wreck but left me with only two minor scratches. It was a miracle to behold. And all that heard it simply gave me another title, “Ọnyịrị ọnwụ” – one who overcame death. Deo Gratias! I was consecrated to Sacred Heart of Jesus in the League of the Apostleship of Prayer in 1994 and solemnly admitted to the Association of the Sacred Heart of Jesus and Immaculate Heart of Mary in 2006. I have a strong passion for the devotion to Our Lady of Perpetual Help. Aside my pastoral obligations, I enjoy creative writing and reading. I equally enjoy playing Badminton and listening to good and cool music. I am a good follower of football and a great fan of Enyimba Int’l Football Club of Nigeria. Frs. Ignatius Onwuatuegwu, Joseph Okono and Joachim Okpalaji were of great assistance in discerning and embracing this vocation. Frs. John Konyeke and Kingsley Idehen were among the very first people who encouraged me to explore the writing project. Frs. Kevin Anetor and Stan-Collins Ubaka had always inspired me anytime I look up to what they can do. It is to Fr. Kevin Anetor that I owe the inspiration to embark on this evangelization through the social media. I am eternally grateful to all of them and also to my parents who did not give up on me when I was wandering like St. Augustine in search of the Truth. May God bless them all and grant eternal rest to my dad, Michael, my sister, Njideka, my aunt, Laetitia and my Baptismal God-father, Mr. Andrew Unachukwu. It is always my prayer that the Almighty God may continually grant me the grace and strength in his vineyard to lead the flock of Christ to their heavenly inheritance, without losing a place in that inheritance myself, through Christ our Lord, Amen.